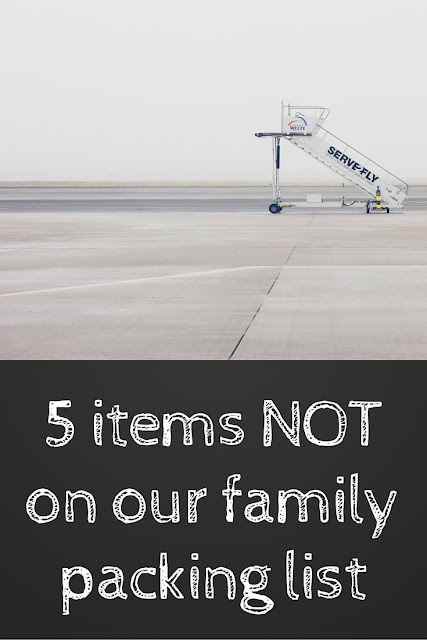 I am not really keen on packing lists as I always think people carry way too many things especially when it comes to travelling with children. We travel light. Always. Some might say a little too light. 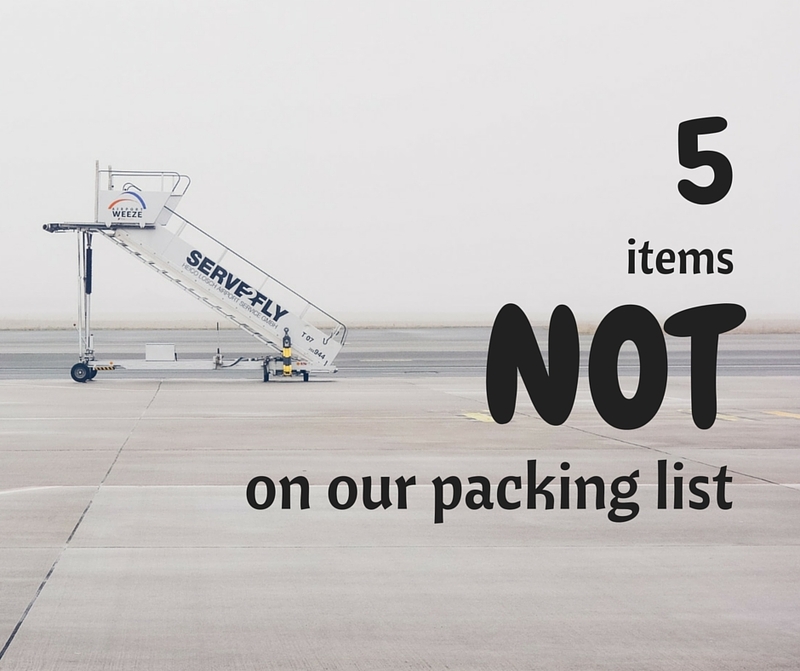 We pack the bare minimum when it comes to clothing and not much else. We don't take our own toilet paper as some do on a transatlantic flight (not joking). Less is more. Choice of items very much depends on where we are going and how we are travelling but here are a few things we almost never carry with us any more or never have, especially on flights. You've read that right. The very clever suitcase for little ones everyone loves and has. We had one. We got one for our girl when she turned 2. She pulled it for about 10 minutes. Sat on it for about 5 minutes on her first trip with it. Then, it turned into a ride-on toy to play with at home. And we got rid of it now that she is 6. We won't be buying one for her brother. My main issues with it are that it is NOT light. It is too heavy, even for a 6-year-old, to use as a carry-on. It is awkward and not easily manoeuvrable: none of the four wheels turn sideways. We always ended up carrying it when we had it with us. I guess you invariably end up doing this with anything you give your young children. Yet, in that case, I would much rather be carrying a small backpack or a light little rolling suitcase. Yes, they are cute, but not for us. We owned a travel cot but only took it on holidays/travels with us a handful of times. Ours was a like a little tent kind of cot, so we used it more often as a beach shelter than as a bed. Babies don't care where they sleep. Toddlers find it fun to camp out on the floor or on pillows. Our children shared beds with us when little, slept on floors with blankets as mattress, on double beds with plenty of pillows to catch potential falls. We've done it all when places we were staying at didn't provide any cots (and even sometimes when they did but we didn't like the look of them). The first thing we do when we get somewhere new to stay is often to put the mattresses on the floor! We also think that teaching children to sleep anywhere can only be beneficial: teaching them about resilience, adaptability, etc. I love packing lists essentials that contain about ten different toys. And I love the carry-on suggestions that include 'wrapped toys'. Who has time for that? We often take a toy or two (especially when flying for a long time). But we certainly won't bring a carry-on full of toys. Getting older children to carefully pick a book and a toy is a much more valuable skill to teach them. I may plan a few surprises along the way but these are usually tiny and something to last and create memories. And they are certainly not wrapped! Also, the wrapping paper would be a nuisance on a plane where trash space is at a premium. While I may succumb to bringing a few too many toys once in my life, I have never ever taken any cups or feeding essentials with me (other than the baby bottles with our first born). I have seen these feeding items on packing lists though. I can kind of understand the cup thing if you don't want your little one to get messy. Ok, if you do take your plates and cutlery, don't hate me. I am sure you have a very good reason for it. * It is all a matter of priorities. For me, teaching children respect and care (for someone else's things) is part of a number of great (travelling) skills little global citizens need to learn. And teaching young toddlers to use real (non-plastic) cutlery, glasses and plates makes life so much easier more quickly. The only time I take a pillow with me is when we go camping or when I was pregnant (first time round) and couldn't sit right in the car for too long. You only need pillows for long-haul flights really and airlines often provide them then. They might not be the best but they work for a few hours. Children don't really need pillows. Pillows and blankets are just huge space eaters. Yes, there are some really cute travel pillows out there but do you really need one? I also think that if you carry them just for the flight, they are going to be in the way for the rest of the vacation. Next time you go away, try doing without one of these items. Your luggage allowance will thank us for it. Disclaimer: I know someone will always find a good reason why they do take their cot bed or their pillow for their 2-year-old. This is, however, what works for us. We have travelled a fair bit with our children and without. Take what you want from it. *My friend actually takes those items with her because her son has special needs. I totally agree with you! except for the trunki that, in some, very selected cases, I find good :-) Especially new parents are lead to believe you need all sorts of 'special' things for kids, while I find much more empowering to let them try and learn with whatever is available - the kids seem to find it a lot more fun too! I'm totally with you about the wrapped toys - exactly, who has the time? I'm another one who loves the Trunki though - both my kids have them and LOVE them, and we also swore by our travel cot with both kids when they were little - I found with all the travelling we did with them, staying in different places all the time it was nice for them to have something that was consistent. Its very much an individual choice what you take for your kids. Some Parents are more strict than others. We took our 1 year old daughter when we travelled Europe for 5 weeks. 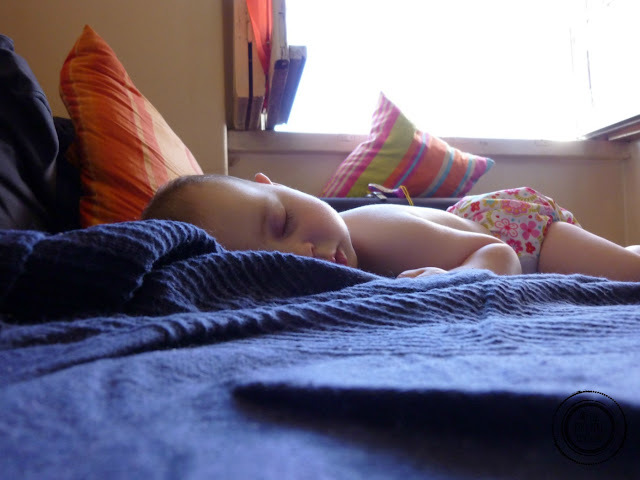 We ordered cots where available and when they were not she slept with us that simple. I'm one of the people who don't know how to pack light and I usually pack a pillow (that doubles as stuffed animal) for my girls on flights but I see your point. Traveling light is definitely more enjoyable! I have never taken these items with me if I can help it. I didn't even think of the toilet paper lol. I always ask for a cot or co-sleep (after a handful of disasters). I love how frank you are too. Wrapped toys? People do that? I admit, we had a different experience with our trunki's. The kids loved pulling them, and if they were tired, I could carry my backpack and still pull each one of them on it. But it outlives it's usefulness by the time they hit about 5. We are about to take our first trans-atlantic flight with kids and I've been wondering to pack or not pack. Our kids are a little older, so we're putting them in charge of choosing what they'll bring for entertainment on the plane. I wish I could say that they are going to sleep the whole way of the overnight flight, but I'm not counting on it! It really is not as bad as everybody makes you believe it is going to be. Sleeping the whole way might be optimistic but they might surprise you. Agree. I have never carried these too.